No longer confined to the homes of the ultra-rich, automated shading technology provides economic and aesthetic benefits to any space in which it's installed. Whether you're interested in decking out a home theater space, integrating shades into an existing automation system or looking to make your home more energy efficient, Buchan Consulting can help you select and install the ideal shades for your space. Not long ago, automated shading was far out of the price range of most consumers and available only in limited styles and functionalities. Buchan Consulting works with QMotion Shading Systems, a group founded by an award-winning industrial engineer that offers a variety of shade types including roller shades and motorized drapery. QMotion's products are designed with budget-conscious consumers and businesses in mind, making it easier than ever to add shades to your space. There are also savings to be had in the long-term. One of the primary reasons for choosing to install automated shading systems in your home is the energy efficiency they provide. Windows are a major source of heat loss during winter months, and shades on a schedule can insulate the windows during darker hours while letting in warming light during brighter times of day. In the summer, keeping a house cool is infinitely easier with shades that keep direct sunlight from heating up your home. They can be programmed to open back up as soon as the sun's passed along. It's important for your home or business to be a comfortable and inviting space, and our shading offerings make this easier than ever. At home, automated shading systems not only keep your home well-lit and warm, they add a measure of privacy and security. They're also a great home element for entertaining, whether in a living room or dining room when company's over, or in a home theater space for optimized viewing experiences. At work or at home, automated shading gives you the ability to control who sees in to your space at a single stroke, making it fantastic for private spaces like bathrooms and bedrooms. Buchan Consulting can also integrate your shades with existing automation systems in order to give the impression that people are coming and going from your space even when you're away, adding an additional level of security and peace of mind. When entertaining, shading presets can add instant ambiance to any space in which they're installed. You can develop your own set of presets, adjust for sunset lighting, and sync them with lighting presets to create the perfect mood for your gathering. 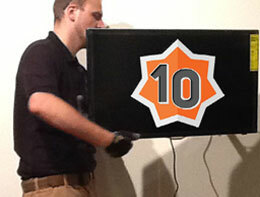 If you're a movie buff, automated shading can create a theater-like atmosphere whenever you're ready to enjoy a film. Whether this is your first step in home automation or you've already got several controllable elements in place, Buchan Consulting will help you develop the ideal control scheme for your shades. If this is the first automated element in your space, Buchan Consulting can build out shades to fit your specific needs. 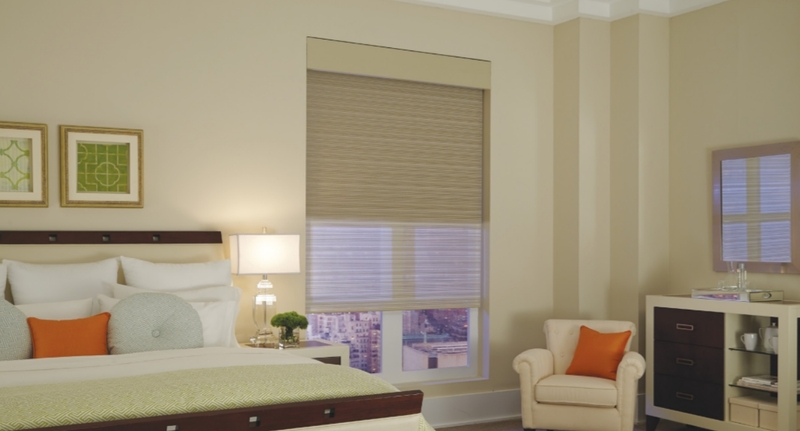 We'll provide you with a remote control for the shades that can be used to operate them individually or in groupings designated by room, floor, or time of day. Installation options include battery or hard-wired operation, accommodating the layout of any home or business. For those already using an automation system, or looking to add several automated elements at once, our QMotion shades can be easily integrated into a larger system. Buchan Consulting works directly with automation industry leaders like URC and Elan to create automation schemes to your specifications. We'll help you move toward advanced levels automation, where with a couple strokes on your smartphone, you can control shading, lighting, audio, locking mechanisms and even appliances in your home or office. Shading offers a variety of benefits to the efficiency-conscious home or business owner, and is a fantastic first step if you've never taken steps towards automating your home. Buchan Consulting can help you find the style and functionality that suits you best, adding value and enjoyment to the spaces you're around every day. Buchan Consulting LLC is looking for motivated, energetic, team members for installation and sales positions. We train, you work! Adding satisified clients every day. "He did exactly what I needed and helped me understand upgrades without trying to pressure me into anything"
The technician was very personable and did everything necessary to ensure customer satisfaction. Kudos to great workmanship." "Doug came out and had my network back up and working Great in 1 hour. He is very professional, knowledgeable and honest." © 2012-2019 Buchan Consulting LLC, All Rights Reserved.